Genrui Biotech Inc. specializes in developing, manufacturing and marketing IVD equipment and reagents. The company’s product range covers immunoassay, chemistry, hematology, urinalysis, and point-of-care, as well as associated reagents. 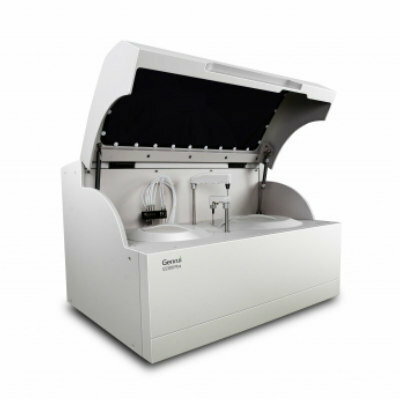 The GS300 Plus is a multi-functional benchtop clinical chemistry analyzer with a throughput up to 240 tests per hour (without ISE), 81 special plastic cuvettes, 60 reagent positions and 60 sample positions. It features 24-hour non-stop cooling, stable heating for reaction, bilateral LIS etc.